A cheaper workforce is more like it. But, it won't work. Learning a language is a far stretch from writing software and the employing core principles of Computer Science. I saw the same thing growing up in the 80s with Logo and BASIC. They were supposed to be the "everyman" languages. People still couldn't learn those and did just what they needed to pass the course. And, frankly, do you want your apps written / debugged by a real software engineer or someone who learned via seminars and online courses? The race to the bottom of cheap apps has proven to me people want cheap software, not professional software in a lot of cases. I can see games and "play apps" being written by those who are not properly trained and are SO warriors. I think this is good for everyone though. The more exposure that Swift gets, the more implanted future it will have. Not just in the iOS and Mac world, but the open source linux world as well. I'm quite excited to see it take off in the server side and machine learning world. I think offering these classes as tech electives is great! There are too many colleges that think that C++ is still a dominating factor. I have seen some that still teach Pascal! Hopefully this helps start moving the bar for more modern languages and frameworks. Free course materials... To make it easier for you to proudly train your "Fresher" H1-B replacement. Not everyone is capable of becoming a full-time programmer, but if this makes the resources for those who do want to pursue that path easier to study and program, that's a good thing. That is the very split that developed between the mainframe COBOL/FORTRAN coders and the PC guys working with the variety of languages. - It had to work -- ALWAYS and with consistent reliability and accuracy! - People other than the original coder had to be able to pick it up and either fix it or upgrade it. But, I do believe that everyone should be exposed to coding as part of the education process -- the 3Rs becomes the 3Rs + S [coding in Swift]. They should get a basic knowledge of: what code can do; what is involved in the process; and the meticulous effort required. A good second step would be a free iCloud account to each participant (students and teachers, alike). A section within iCloud where participants can see what others are doing, exchange ideas, share code, etc... get a little competition going. The comments I have read thus far appear to be coming from the programming elitists that have run (or should I say "ruined") computer software creation for the last half-century). Only during the age of HyperCard were there ordinary people even attempting any programming. And it was during that age that programming did undergo a kind of renaissance of sorts, with people from a wide variety of disciplines creating usable software. I, for one, welcome the ideas of people from other disciplines. Software programs have been limited by the people creating them. I want to see software from artists, writers, manufacturers, tinkers, soldiers, sailors -- not just people who call themselves "computer scientists." It sounds like you're against programming being taught in schools. If not in schools, then where should it be taught? At home? In Nepal on a mountain top village? OK Apple so when does Xcode come to iPad Pro? I'm not sure how the Mac version of Xcode could ever come to iOS. Even on a 13" MBP where you have a mouse point that can click fine elements separated by only a few pixels it's very cramped. I was forever sliding sidebars in and out. I can't imagine that with my fingers or being forced to use an Apple Pencil to peck around the screen, which means there's no slide or drag or drop without some other button to depress to make iOS know that your Pencil action will be to slide a sidebar into or out of view. Doable? Sure. Reasonable for a device running iOS? No. If you want all this then get a Mac. I think there will continue to be a degree of OS convergence for Apple and they'll hopefully avoid the mess that Windows has become. Apple has been very clear that they are not converging their OS X-based OSes. Frankly, it's a ridiculous notion to believe that macOS, iOS, tvOS, watchOS, and their new touchbarOS will all be the same the same download package. Do these courses start at step one or rely on existing programming experience? It's been decades since I seriously explored programming. I didn't enjoy it in the least, but I sometimes get curious again when modern languages are promoted... I never want to deal with pointers, for example. Some stuff should be handled automatically by the language and compiler. An online course in Swift programming is not a dead end that dooms the student to never become a "real software engineer". Instead it is the sort of thing that can inspire a student to continue in that direction. And that doesn't necessarily mean getting a degree in computer science or whatever else it is that you think is required to learn the right skills. Some of the people who shaped the computer industry into its current form did not learn how to do what they did from a formal education. The two Steves. Bill Gates. Mark Zuckerberg. All of them were college dropouts. That would work better for a touch UI. You'd have a predefined set of nodes with attributes and they can be open source as well as modifiable. To start a program, you just add an object node. There would be layout objects for the UI and data objects including database objects. 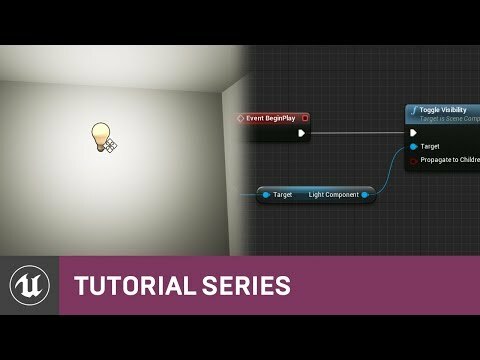 The object nodes would have function nodes added to them and those would have action/data nodes that had things like loops, variables, mathematical functions, sorting code, animation curves etc. The nesting would define the scope. If an object wanted to address a variable inside the scope of another, a user could just select it and the software would work out how to get that information. At any time, the user could expand the node into text to see what it is doing and modify it at the code level. This setup has the advantage of promoting code reuse/modularity and optimal code vs monolithic functions/classes. The open source nature of the blocks would have people trying to make them run as fast as possible. It also helps avoid typos because you aren't typing most of the code. It makes profiling a bit easier too because running the program can highlight in red which nodes took the longest to execute and those can be fixed. It makes it faster to do prototyping because companies can build app templates and just replicate that for new ones. File resources can be accessed in an interface like in iMovie with Images, Audio, Movies, Documents tabs and you just drop them into the nodes, which saves having to hard-code filesystem paths. If you wanted to play an audio track, you don't have to read up on how to use a sound manager API, you just drop an audio node in place and pick the sound then attach an action to play it at a given point in the execution and it can handle the playback without stalling the program execution. This would be language-independent software development. Visual scripting can abstract different languages and the exact same high-level structures can be mapped between Swift, Java, C#, C++ etc without manually changing any code. With a certain node structure, it would be possible to convert old programs that were typed into nodes. For complex software, the number of nodes could get unwieldy but nodes can contain multiple lines of code and it would be nested inside multiple objects/classes e.g 20 objects on screen, open one object to get 20 actions, open one action to see 20 data nodes and you work on one at a time. This can handle the equivalent of tens of thousand of lines of code concisely enough for a small screen. Rich feature nodes allows very complex tasks to be done quickly like cloud syncing and 2D/3D object handling. Instead of thinking about manually using nested arrays, dictionaries and lists and constructing special data classes for cloud syncing, the data nodes can have cloud-sync features built-in and it would aggregate the data into key/value stores as needed, only syncing what changed. Even with the Blueprints option in play this is still not feasible for a device where the primary I/O is your finger on a touchscreen. 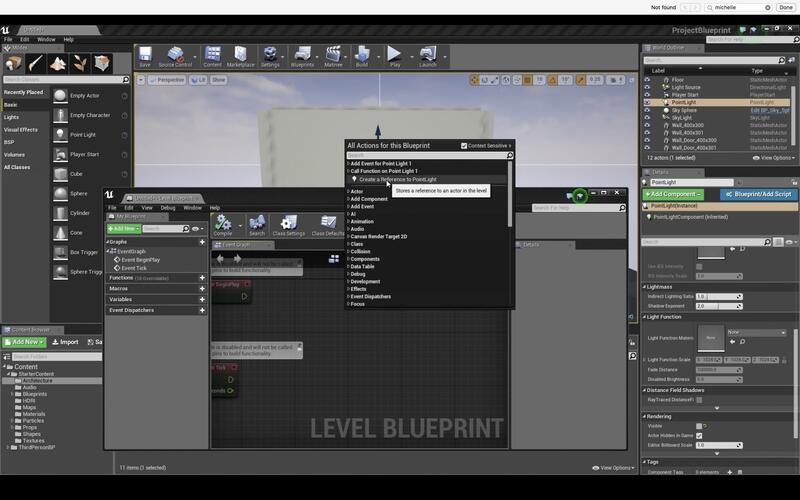 Are you saying you can switch to only Blueprints as your primary UI without all the other clutter that requires a a finer point on a touch element, as well various L/R or Alt/Option buttons with the mouse pointer to make selections for easy coding? 2) Am I wrong in thinking that Apple already has something similar with Storyboards in Xcode? I don't get this incessant need for "access to the file system." Why is that necessary? I have dozens folders synced to iCloud. Many of them are Apple's own apps, and within them are files, but also folders that I've created that contain other files for that app. I also have created my own folder at the root of my iClouds folder that contains other folders and files for 3rd-party apps and no specific apps at all. Of course, all those sync with iCloud, which is a handy feature, but it doesn't have to sync with iCloud. If Apple does offer some sort of Xcode option for iOS-based devices, why can't they just have a similar repository for these development files without Apple specifically creating an iOS app called Finder or one called Terminal so I can bypass a reasonable storage selection, look my how Music is stored in the file system, manually edit PLISTs for Library/Preferences and other such things? What good reason is there to open this up to over a billion iDevice users. Personally, I think how Apple stores photos and music/movies/TV shows in Photos and iTunes, respectively, is the right way to go. Hell, I want Apple to obfuscate this even more in the future so that macOS is even more user friendly, not less. Your objection is quite logical -- but incorrect. In real life my experience has shown that the best coders got some basics in computer school -- but they learned the "Core Principles of Computer Science" on the job and largely through self teaching. The school professors just don't understand those core principles enough to teach how to develop a strong, functional computer based system that can be relied upon.